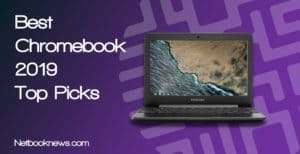 How To Choose The Laptop With The Best Battery Life? Can You Find A Long-Lasting Battery Even When You’re On A Budget? Laptops are made with one purpose, and it’s the portability. No matter what you’re using the laptop for, having a laptop with best battery life will get you far. Working in coffee shops, gaming in different places, producing music on a go, or simply watching videos at the airport is something people are doing regularly. However, if the battery life isn’t satisfying, it could have a negative impact on your portability. Instead of having to stick with the power outlet and a charger, getting a laptop with a decent battery life is something that’s a must for anyone who’s most of the time on a go. If you’re thinking that lightweight design, long-lasting battery, and high-performance specs can’t be put together into one laptop, you’re wrong. 13″ Dell XPS 9560 is probably a laptop with the longest lasting battery on the market right now. On a single charge, this laptop can hold up to 16 hours of constant use. That’s pretty amazing, considering that the laptop can last you a day or maybe even a day and a half of regular use on a single charge. Therefore, traveling and working on a go is a breeze. At the same time, Dell XPS 13″ is equipped with the latest specs which make it very powerful. There are definitely no sacrifices with this laptop. Dell XPS 9560 is easily described as the laptop for the best portability with the longest lasting battery. Whatever the reason or your needs might be, it’s most likely that Dell XPS 9560 will make your travel & work effortless. 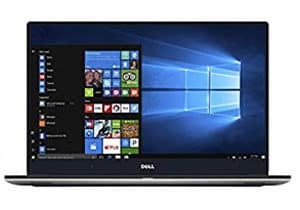 You can think of Dell XPS 9560 as a 15.6″ laptop packed in a 13-inch laptop body where performance isn’t sacrificed even though the battery can last up to 16 hours. 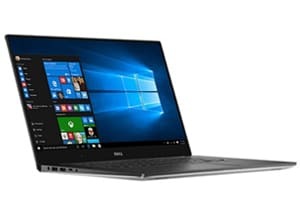 Along with the super powerful and long-lasting battery, Dell XPS 9560 is equipped with the 7th generation of i7 Intel processor, 8GB of DDR4 RAM, and 256GB of SSD. Even though the laptop is ultra thin and very portable, the specifications didn’t suffer even a single bit, and neither did the battery. There is even a 4K Ultra HD display added that offers the touch feature. It’s easy to say that Dell XPS 9560 is an innovation that inspires everyone. It’s hard to answer how was it possible to put all this together, and yet still have enough of room for a battery that can last up to 16 hours. However, it’s here and we are very glad that the manufacturers are doing their best to get the most out of the latest technology we have available. What we really like about Dell XPS 9560 is its versatility. 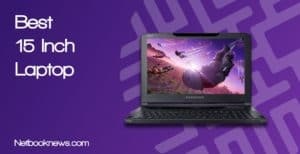 It’s a powerful, yet thin and lightweight laptop that can handle most of the working tasks and is even suitable for gaming. No matter where you go, the stunning display, lightweight durable body, and a powerful performance will be with you for many hours. 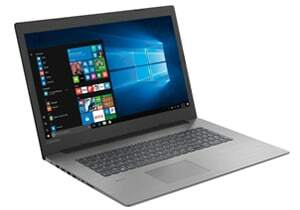 Lenovo IdeaPad 330 is a very affordable laptop which offers decent configuration, it’s very lightweight and portable, and the best of everything – it has a decent battery life. 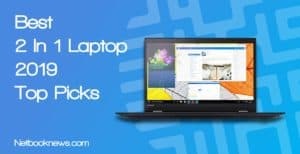 It even has some features that can be seen in more expensive models such as hidden trackpad buttons and more, which is great to see from the entry-level laptop. 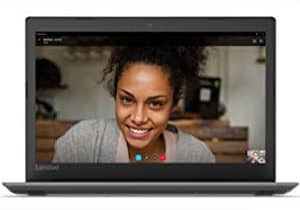 If you’re on a budget and you don’t require the most powerful laptop out there, yet the battery life is more important for you – then Lenovo IdeaPad 330 is a great choice. 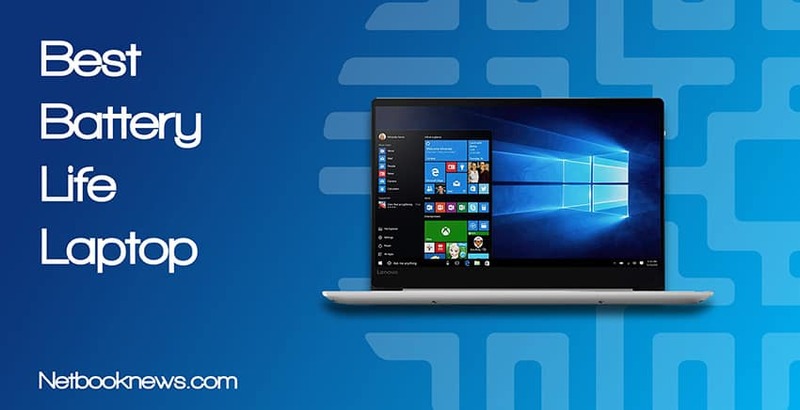 It’s the newest Lenovo flagship laptop which is very portable and is great for people who work on a go. For the price it costs, the specifications aren’t that bad either, yet the battery life is still satisfying. Lenovo IdeaPad 330 is powered by quad-core Intel Celeron N4100 processor, features 4GB of DDR4 RAM, and a 500GB HDD. Design-wise, this laptop is very well built, even though the whole body is made from a robust plastic. It’s not that heavy either, weighing about 2.65 lbs, which improves its portability. It’s not the most compact laptop since the screen size is 15.6 inches, but it’s still great for working on a go where you require the most from the battery. The battery can last for more than 6 hours, which is pretty decent for the price it costs. It might not handle the high-performance tasks, but for web users who are mostly working using the internet and a few software will be satisfied with the performance and the battery life. If you’re someone who does a lot of web browsing or typing, Acer R11 can boost your productivity on a go with a long-lasting battery, and a bunch of other features. With the help of the latest technology we have available, it’s surprising to see how 2 in 1 laptop can have such long lasting battery life. Acer R11 might look like a tablet at first, but once you flip the keyboard, you actually get a thin and lightweight powerful beast with a great battery. Inside the thin body, the latest Intel N3060 processor is hidden, along with the 4GB of RAM, and a 16GB HDD. The 11.6″ IPS screen has a touch feature which allows users to flip the keyboard 360 degrees, and use the laptop as a tablet. 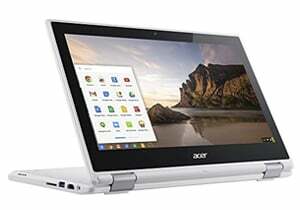 Acer R11 only measures 0.8″ thin size, yet somewhere inside, a 3-cell lithium-ion battery is placed. Such smart engineering brings us such powerful, compact, and long lasting laptop you can take anywhere with you. Needless to say, the battery will have you covered and pushing through the longest days no matter where you are at. Even though you’ll probably take Acer R11 with you everywhere you go, it still is equipped with a lot of USB 2.0 and 3.0 ports. However, as you could probably guess, this laptop doesn’t feature the CD drive. 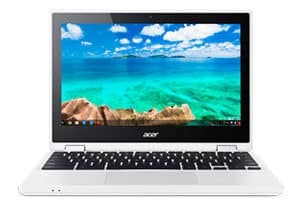 Also, keep in mind that this 2-in-1 laptop uses Chrome OS and is perfect for multimedia and web-use. One unique feature we really like is the 10-finger multi-touch support. Even the most complex tasks and multitasking features are simplified. MacBook Pro is one of the leading laptops in the business world and you can see it almost everywhere. It’s very portable, and it will keep you running on a go for hours. The battery is really well optimized to last long and withstand even the hardest tasks for a long period of time. When it comes to the business, MacBook laptops are one of the leading laptops in the sector. 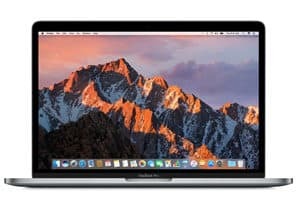 However, there are plenty of MacBook laptops and it can be really hard to choose one, especially when you’re concerned about the battery life. The latest MacBook laptops are one of the most powerful laptops Apple has ever made. However, with the Touch ID and Touch Bar features involved, the questions is whether Apple battery will hold up to its reputation. 13.3″ MacBook Pro from 2017 (especially mid-2017 release) has one of the strongest batteries from all MacBooks on the market. The performance is better than ever, and so is the battery life. On a single charge, this laptop can handle over 16 hours of work tasks. And needless to say, MacBook Pro can handle any business task you have in your mind. 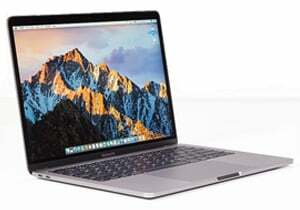 It features a 2.9GHz Intel i5 processor that can be boosted up to 3.1GHz, 8GB of RAM, 256GB of SSD, and a beautiful Retina display with a resolution of up to 2560 x 1600. Combine such display with the Intel Iris 550 graphics, and you have the best of the best. Touch Bar and Touch ID only uses a very small amount of battery, and it’s something you shouldn’t be worried at all. Acer Predator Helios 300 is a pretty lightweight laptop for the components it has inside, and you won’t have a trouble carrying it around. It also has a great battery life even though it’s hard to get a great battery life when it comes to gaming and high performance. When it comes to gaming, the battery is usually the weakest link in every gaming laptop. While you’re gaming, battery life gets drained way faster than it would during other activities. 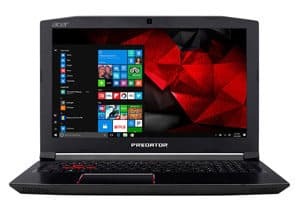 Acer Predator Helios 300 is a beast when it comes to the configuration, but it’s also one of the leading gaming laptops when it comes to the battery life as well. With this laptop, you can expect to have the battery last up to 7 hours. However, when you’re doing some real heavy gaming, expect the battery to drop way less than that. 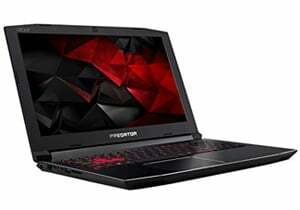 Acer Predator Helios 300 features 7th generation of Intel i7 processor, one of the latest NVIDIA GeForce GTX 1060 graphics cards, 16GB of DDR4 RAM and a 256GB SSD. Now, the SSD might not be enough for loads of games, but there’s an extra empty slot for expandable HDD. The cooling is custom engineered with a purpose to get the most of the heat out of the laptop, to prevent the high temperatures, and extended the battery life. Every laptop is different, not only because of the specifications but also because of the battery and its purpose. The batteries come in different sizes and number of cells, and it’s fair to say that they’re well optimized for the specs of each laptop. Therefore, whenever you’re looking to get a laptop with the best battery life, it’s best to pay attention to your needs. How will you use your new laptop? Do you need speed for multi-tasking? Do you work on a go most of the time? Will you have a power outlet available throughout the day? 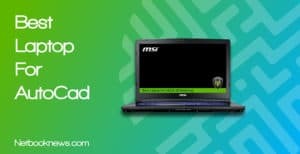 These are just some of the guides that can help you decide what type of laptop do you need, but also what battery lifespan would satisfy you. It’s the same with the performance. You could get the best battery life, but it might not be the most portable or powerful laptop out there. Therefore, it’s all in the balance which you must achieve and suit yourself first. The better the configuration of a laptop is, and the more demanding the tasks are – the less time battery will last. That’s why, it would be ideal if you knew what type of features you would like to get, and which features aren’t necessary for your intended use. Here are some of the features to pay attention to. Keep in mind that some of them can have a direct impact on the laptop’s battery life. These are just some of the features that differ from laptop to laptop, yet have a role in the battery life, among the battery itself. It’d be ideal if you know your perfect screen size, and even maybe a type. If you’re into photography, you’ll definitely benefit from the Retina or any other IPS display. But if you do not have a need for the best screen, that’s your way to have a better battery life. The same thing applies for keyboard backlit which is in most cases adjustable, but it’s a great example. It might be surprising that some of the longest lasting batteries are actually found in the budget laptops, but there are many reasons for that. Earlier mentioned features have a huge impact on the laptop type. Budget laptops usually don’t have the highest specs with the best performance, which makes it easier to find a decent battery that will last for long. Therefore, it’s definitely possible to find a long-lasting battery even in some of the cheapest laptops. There’s no reason to be discouraged. However, we’d recommend you stick with some of the most known laptop brands for the best results. In this post, we have compared very different laptops for different types of use, yet they all have something similar in common. It’s a good battery life. You could see that many factors play a role in the battery efficiency, and so is the type of use. You’ll get the best and the most optimized battery life with any of these laptops. 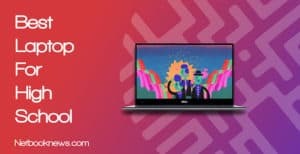 Your main concern now should be to find a laptop that will suit your needs and even your lifestyle, if you plan to use the laptop for work or a very important hobby of yours. Good luck with getting yourself a brand new laptop with best battery life!